If trekking Mountain Gorillas in Bwindi Impenetrable Rainforest is right up there on your bucket list, now is the time to pack your hiking boots, grab your waterproofs, and make your way on down to Uganda where the Wildlife Authority are offering discounted gorilla permits at just $350.00 per person per day! It’s still a lot of money, we know, but when you consider that Gorilla Permits usually cost over $500.00 per day in Uganda, and $750.00 per day in Rwanda, this is an absolute bargain for intrepid travellers who want to get up close and personal with one of world’s most beautiful, yet highly endangered species. While much is being done to save the world’s remaining Mountain Gorillas, there are just 800 – 900 left in the wild, and with constant threats from human poachers, oil companies, and fights over territory, the sad fact is, these magnificent, intelligent creatures will soon become extinct if we do not support the charities that are fighting to save them, and the National Parks in which they call home. November is the perfect time of the year to take a Gorilla Trekking Safari in Uganda, and while there are only limited amounts of permits issued each day, there is still time to book your trip and grab yourself a bargain with these reduced rates. 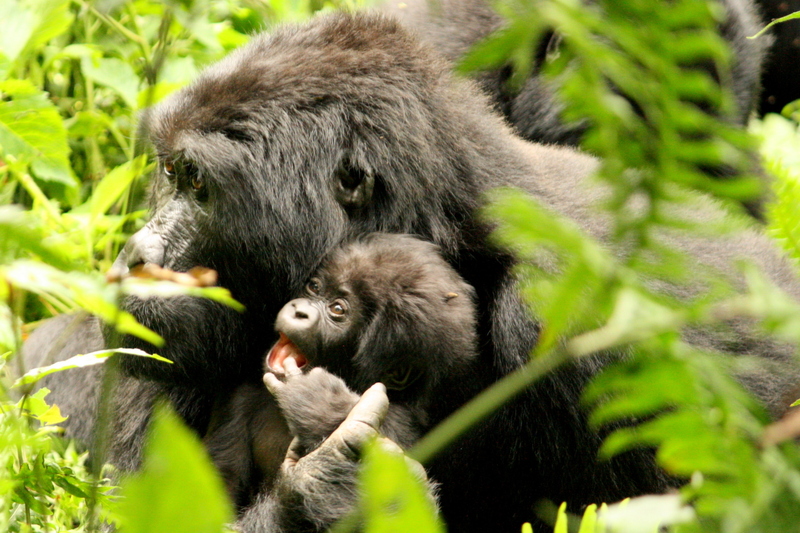 While most tour operators recommend you spend at least one week trekking the mighty African Mountain Gorilla, it is possible to condense your trip into just 2 or 3 days, especially in the Virungas National Park in Rwanda. So don’t let time restrictions, work commitments, and dare I say it, the dreaded ‘C’ word (I’m talking about Christmas!) put you off – now is the perfect time to visit Uganda and Rwanda – and the only thing stepping in your way is you! Previous Post Fancy Gorilla & Chimpanzee Trekking? Jump aboard the Uganda Express Safari!